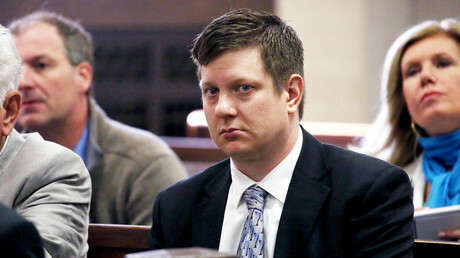 Three Chicago, Illinois police officers charged with conspiracy to cover up their colleague’s 2014 shooting of black teenager Laquan Mcdonald have pleaded not guilty, while the judge assigned to hear the case recused herself without explanation. In the indictment unsealed last month, Detective David March and Officers Joseph Walsh and Thomas Gaffney were charged with conspiracy, official misconduct and obstruction of justice. According to special prosecutor Patricia Brown Holmes, all three officers were on the scene on October 20, 2014, when Officer Jason Van Dyke fired 16 shots at McDonald, killing the 17-year-old. They lied about what took place and mischaracterized the video of the event to mislead the investigators and keep the recordings from being shown to the public, the prosecutor said. Just before their arraignment hearing was about to start Monday, Judge Mary Margaret Brosnahan announced she was recusing herself from the case, offering no explanation for her decision. Brosnahan had also recused herself from a 2015 case involving Chicago Police Department Commander Glenn Evans, who was charged with aggravated battery and official misconduct after allegedly shoving a gun into a suspect’s mouth. Judge Diane Gordon Cannon ended up hearing that case, ultimately acquitting Evans. Following Brosnahan’s recusal, Cannon was assigned the case of the three officers, the Chicago Tribune reported. Once the hearing began, March, Walsh and Gaffney pleaded not guilty, and were released on their own recognizance with a $50,000 bond they will have to pay if they don’t show up for the trial. Their next court date is August 29. “We are very well aware of the fact that this case has great public interest. There's a great deal of emotion involved. That's understandable. There's probably even some politics involved. All we're hoping for at the end of the day is that we receive a fair hearing," said Tom Breen, Walsh's attorney, according to AP. Walsh, 48, was Van Dyke's partner at the time and allegedly gave conflicting accounts about the events leading up to the shooting. Van Dyke was charged with first-degree murder in November 2015, and has pleaded not guilty. In March 2017, a grand jury added 16 counts of aggravated battery, one for each bullet fired at McDonald. His trial has yet to be scheduled. The trio also prepared and submitted police reports that portrayed Walsh, Gaffney and Van Dyke as "victims assaulted and battered" by McDonald, according to the indictment. Holmes said they also conspired in failing to locate and preserve physical evidence. McDonald’s shooting was captured on a police cruiser’s dashboard camera, but it took the city over a year to release the video. 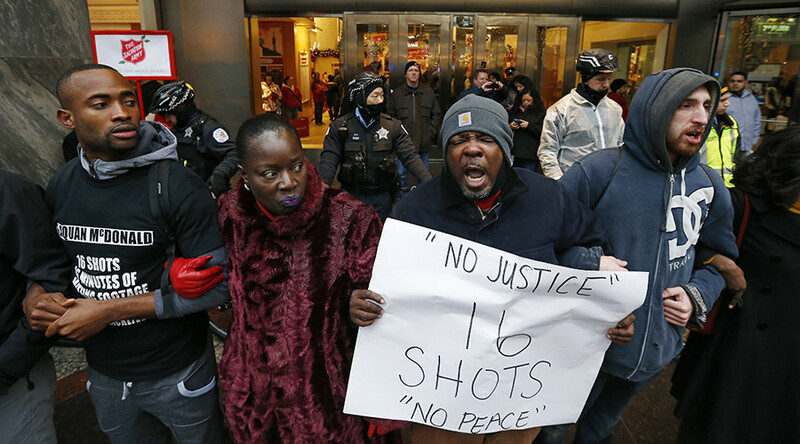 Its publication in November 2015 led to protests over several months in Chicago, and prompted Mayor Rahm Emanuel to sack police Superintendent Garry McCarthy. Cook County prosecutor Anita Alvarez was ousted after losing a primary challenge within the Democratic Party. "The shooting of Laquan McDonald forever changed the Chicago Police Department and I am committed to implementing policies and training to prevent an incident like this from happening again," Superintendent Eddie Johnson said after the indictments against March, Walsh and Gaffney were announced. Following a 13-month investigation into the Chicago PD following the McDonald shooting, the Obama administration proposed a court-enforced settlement reforming the police. Last month, however, Emanuel said he would sign a memorandum of agreement with the Trump administration establishing an independent monitor instead.